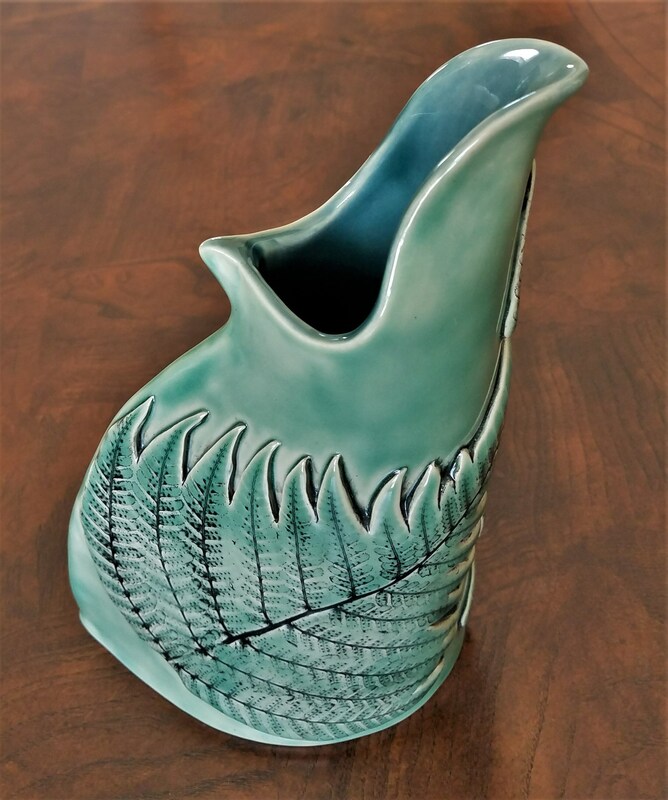 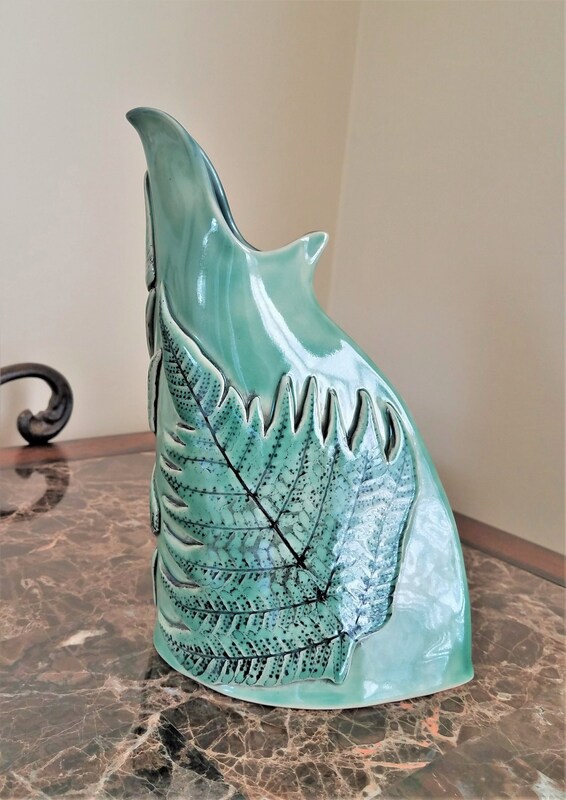 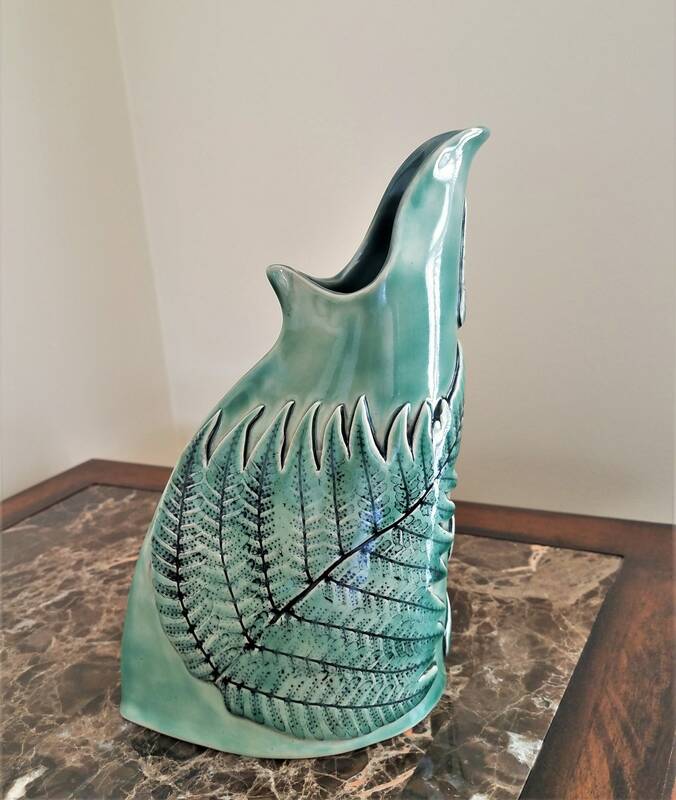 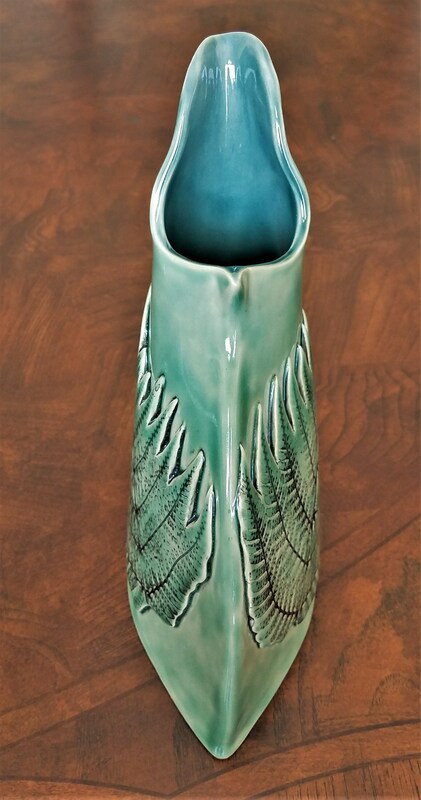 Add the charm of nature to your home decor with my stoneware fern jug/vase. 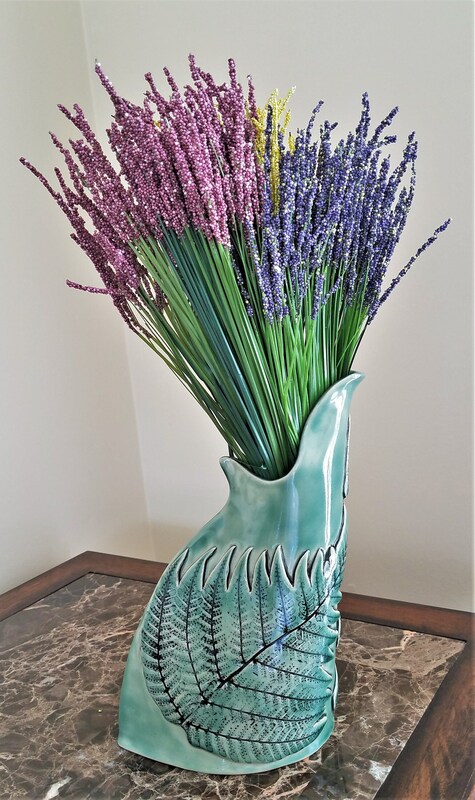 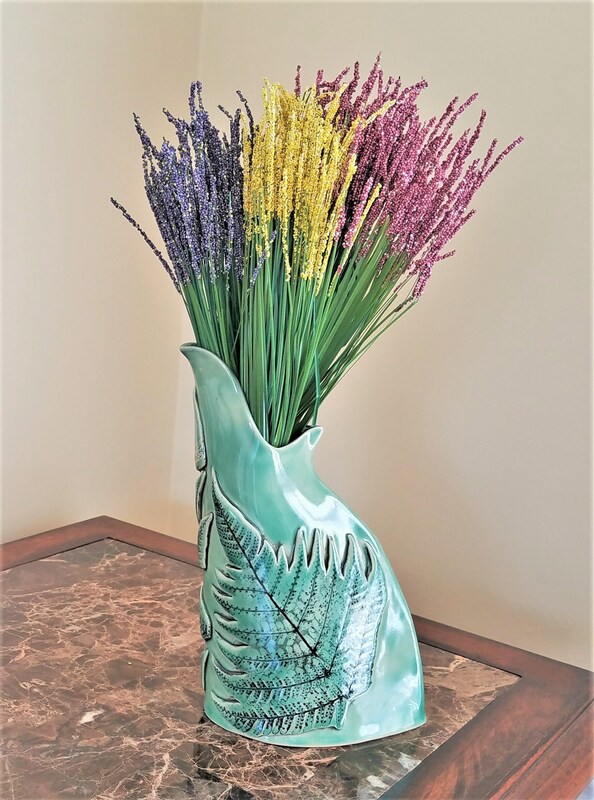 Living or artificial flowers look wonderful in this handmade pottery jug/vase. 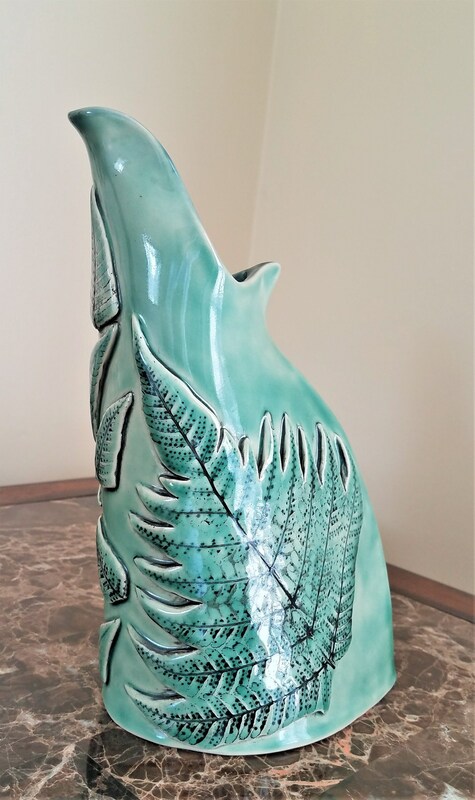 I created this from stoneware clay slabs, then added clay ferns (which were texturized with actual ferns from my garden). 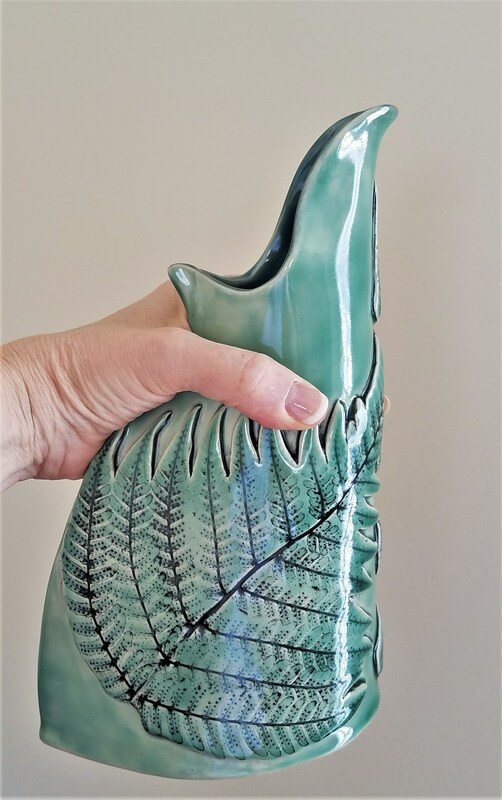 I glazed this jug/vase in a forest green. 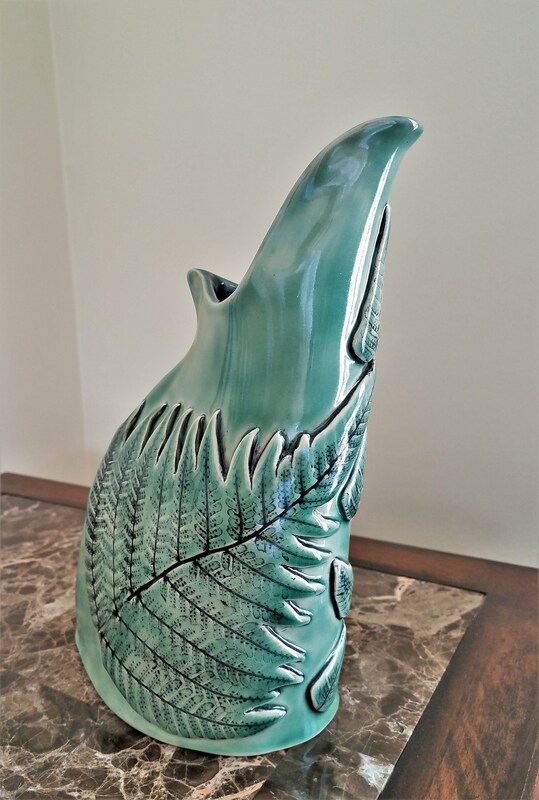 This jug holds 20 oz of liquid. 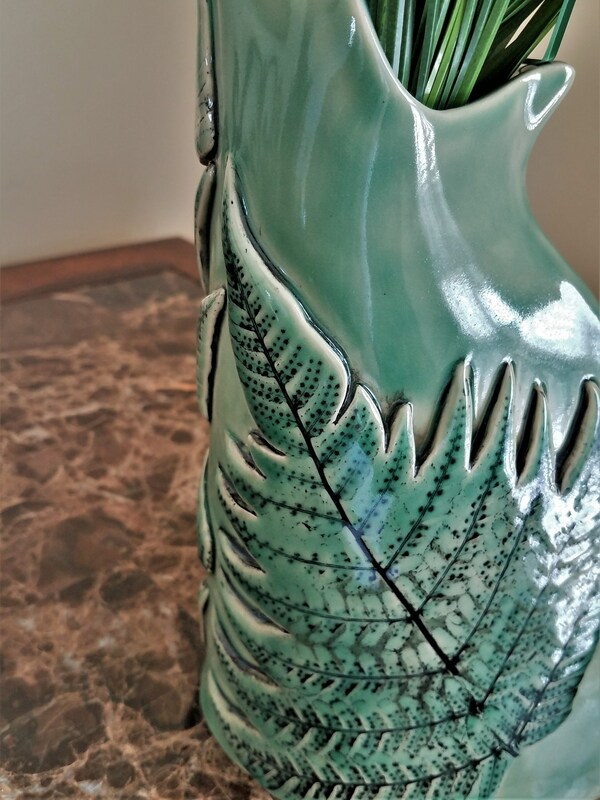 The measurements of this stoneware jug are: 9" in height by 6" x 3".